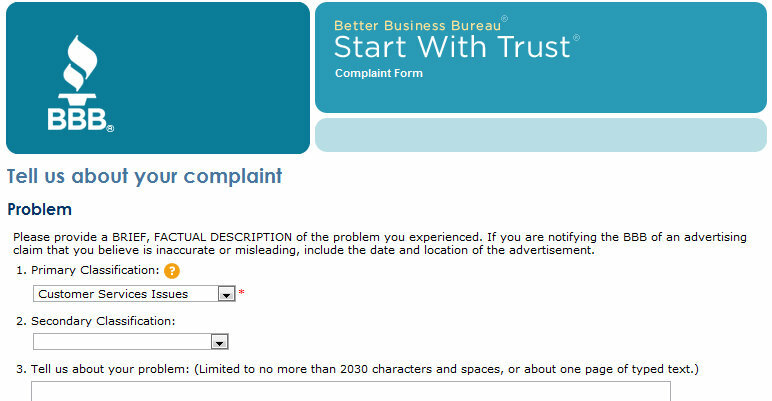 Filling out a BBB complaint form, I don't see a problem classification option that quite matches my complaint. So I click the provided Help icon (question mark). A new window opens, but it isn't very helpful. That Primary Classification Help line is not a link. 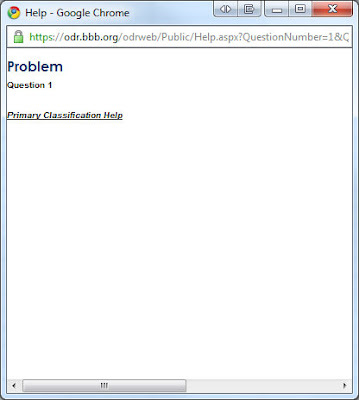 While I had expected descriptions for the problem classification options, no help is provided. 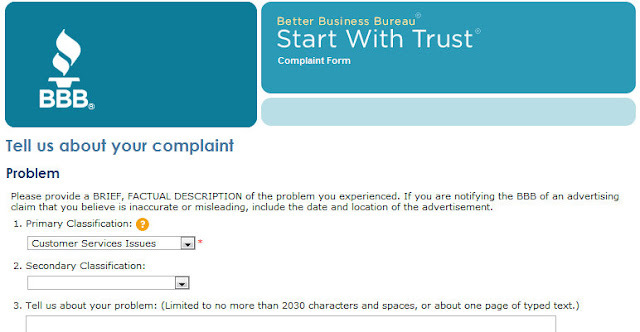 Help links that do not provide help aren't very helpful. Tautological statements make fine examples of tautology.